From a seasonal layman and a veteran pastor comes this encouraging look at God's plan for those called to the ministry. An invaluable guide that encourages pastors and other ministers to gain a fresh understanding of their leadership position. Whether you find yourself on the verge of burnout or simply need someone to fan the flames of your faith, take time to experience afresh The Power of the Call. This practical and uplifting guide takes a biblically sound and realistic look at how God provides fully for every need a pastor, or anyone called into the ministry, will face. And it reminds us that success in a church is not what we think it is; it's what God thinks it is. 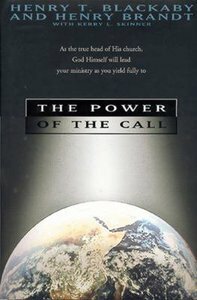 About "The Power of the Call"